Rudimental, Annie Mac, Stormzy, Chase & Status and Giggs are all set to play the fifth edition of MADE Festival. The huge Birmingham event moves to a new site this year and offers six arenas, more than 100 DJs and live acts, funfair rides and much more. 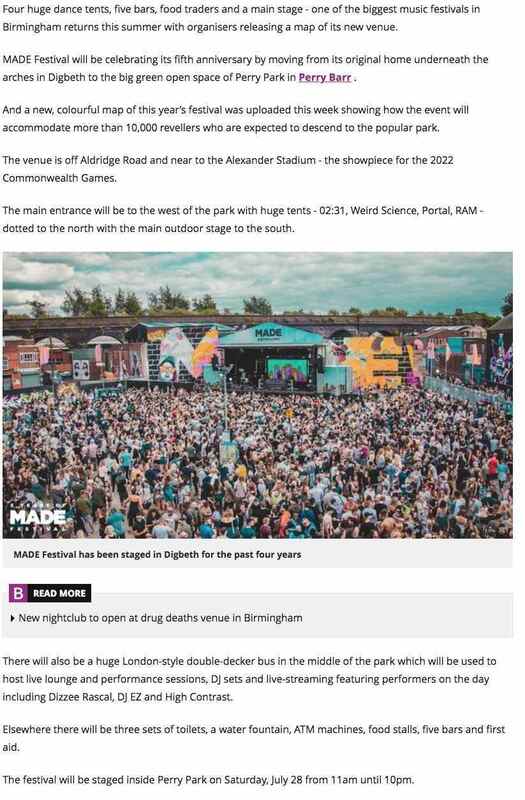 Read the full article here or below, and find out more about MADE Festival on their client page.